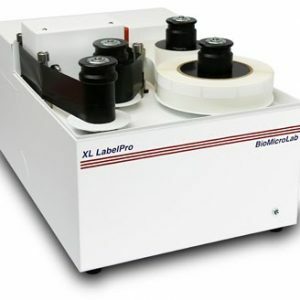 For labeling a variety of tubes and vials, the XL LabelPro is designed for either standalone use, or for integration with any XL Series Tube & Vial Handling System. 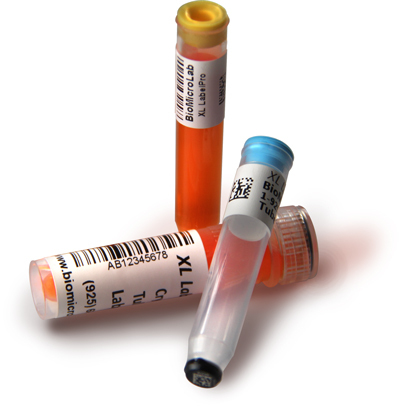 The LabelPro allows one to easily, precisely and quickly print and apply labels to vials up to 1″ (25mm) diameter. 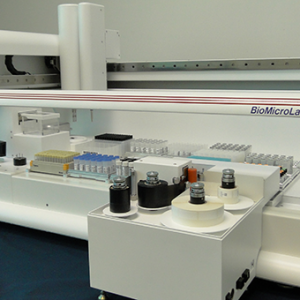 Design and layout of labels is accomplished with BioMicroLab's label design software. Labeling functions are embedded in the XL Work List Manager Software which provides the ability to print the same data on all labels, merge variable data on each label, or apply pre-printed labels. 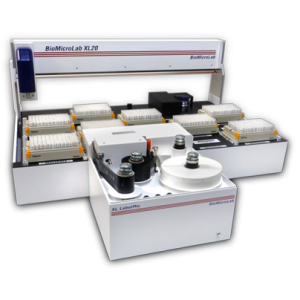 Project based workflow allows for easily reprinting and applying commonly run labels.